The Crow: City of Angels, No. 3 in the Starlog Movie Magazine Presents series, "Complete Crow Chronicles". 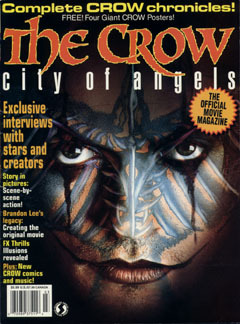 Includes double-sided large Brandon Lee Crow poster, 6-page Brandon article "Love and Death: How The Crow Took off".